Aesthetix Io Eclipse review | What Hi-Fi? 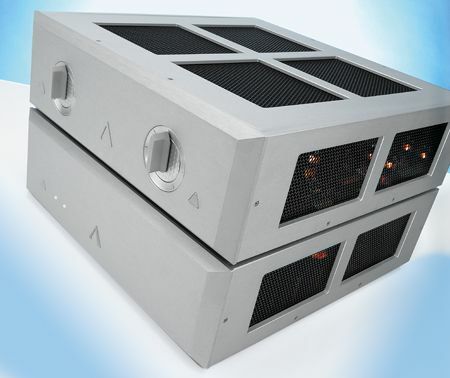 The Aesthetix Io Eclipse immediately begs one question: almost £17,000 for a phono stage? That’s a serious amount of money for any piece of hi-fi equipment, let alone one so niche – but if you’re serious about vinyl replay, and have the kind of record player, amplification and speakers that will justify this kind of outlay, then dive right in. Handbuilt by Aesthetix in Moorpark, California, the Io Eclipse is an astonishingly capable piece of kit. It’s available as a conventional phono stage (for £2700 less than the price quoted here), but we’ve got the version that comes with volume control and a single line-level input, which can be made via balanced or single-ended connection. Both methods perform well; any sonic preference is likely to be as much from the partnering equipment as it is the Io. If you’re feeling particularly flush, Aesthetix even offer a version of Io with twin external power supplies for another £4500. The promise is, as always, of even better performance – but we’re not too disappointed to be slumming it with just the one. Products that perform at the cutting edge of performance tend to impose themselves when it comes to usability. Formula 1 race engines, for example, need to be preheated, oil and coolant included, before they can be started. The Io, likewise, needs to be pampered. This all-valve design – even the power supply uses valve circuitry – is as cantankerous a hi-fi component as we’ve come across in years. Don’t try and use it straight from switch-on, otherwise you’ll get all kinds of unpleasant buzzes coming through your speakers until its circuitry settles down (which usually takes around 15 minutes). The noises are due to the internals stabilising once powered up, and also happen when you switch between the phono and line-level inputs. Turning both of the mono volume controls down fully is the only way around this. Equally, a great deal of care has to be taken when connecting and disconnecting the power supply – otherwise it’s possible to cause a serious amount of internal damage. It’s best to switch the Io off and wait around 20 minutes for the electronics to discharge fully before swapping connections. Operationally, this Aesthetix remains a demanding device. Having two volume controls – one for each channel – isn’t particularly convenient, but at least the well thought-out shape makes it easy to match levels between channels. Want remote control or a headphone output? No chance.Yet, despite all these inconveniencies, if we had the money we’d buy the Io in a heartbeat. Like other Aesthetix kit we’ve reviewed, this phono stage is beautifully made. The casework is immaculate and the feel of all the controls is as chunky as you like. It’s configurable as far as finish is concerned, too – the colour of the front panel, controls and cosmetic trim all have a range of options. Take a look through one of the beautifully crafted ventilation grilles (this product runs pretty hot, burning around 350W of power at idle) and you’ll find densely packed circuitry positively overflowing with some of the best-quality internal components it’s possible to buy. Our first thoughts on hearing the price of this phono stage were along the lines of “it’d better be fabulous”. It is. Given an appropriate vinyl source – we used Clearaudio’s Innovation Wood/Universal arm/Stradivari combination – the results are terrific. This is the most natural-sounding phono stage we’ve ever heard; it uncovers an astonishing amount of detail without ever drawing attention to the fact. We went through a whole trunk load of records, from the loping bass-fest that is Bob Marley’s Exodus to Orff’s often manic Carmina Burana, with the likes of Radiohead’s In Rainbows and Nirvana’s Nevermind in the middle. Whatever the music, the Eclipse shines. Tonally, it’s as smooth as they come without sacrificing definition. Much of this quality comes from its lovely high-frequency performance. We haven’t heard much that delivers such treble insight and subtlety allied with this level of fluidity. In comparison, the high frequency performance from most hi-fi kit, even quite pricey high-end items, sounds oddly crude and mechanical. Move down the frequency range and the good news continues. The midrange is beautifully layered. It’s crammed with detail, yet remains utterly undemanding to listen to thanks to the lack of sonic hardness and the refusal to overplay leading-edge information. The Io Eclipse’s sonic organisation and ability to convey low-level dynamic shifts is truly spellbinding. The biggest compliment we can give to the bass is that it blends in brilliantly with the beguiling upper frequencies. It’s authoritative, textured and agile: all that you’d want bass to be. Add an expansive, tightly focused soundstage and the ability to swing huge dynamics with ease, and you have a hi-fi component to savour. Switch to the line-level input (don’t forget to drop the volume to zero before you do) and the results are equally impressive: the Eclipse continues to sound magnificently transparent and massively informative. The product’s innate refinement and organic presentation remain strikingly apparent even at very low volume levels, too. We’re not going to try and persuade anyone that a product such as this is an essential buy. But for those that want and can afford the very best, the Aesthetix Io Eclipse is unarguably a must-listen product.